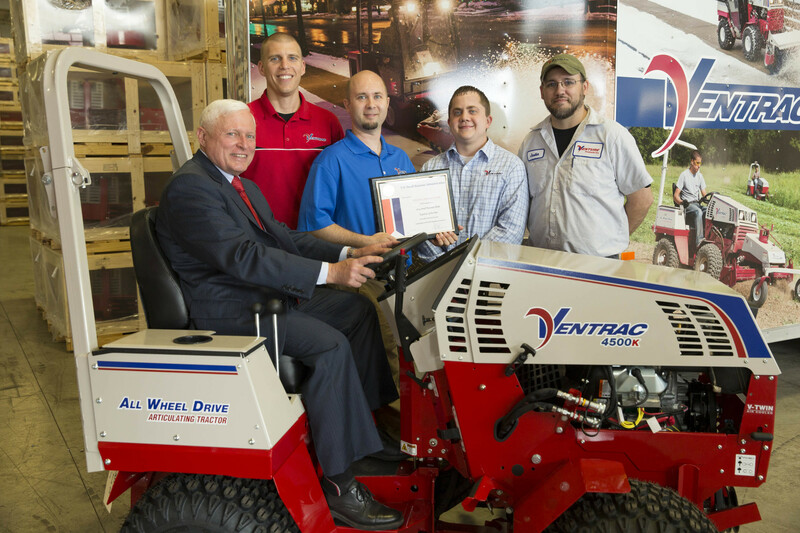 At Venture Products, Inc. (VPI), we manufacture Ventrac compact tractors and commercial grade attachments and are headquartered in Orrville, Ohio. Since the first release of Ventrac products in 1998, the company has quickly become a leader in the sub-compact tractor market, with our equipment being used by professionals worldwide. We currently do business in more than 25 countries and are proud to have about 175 employees. In the past five years, our international sales volume has been stable with a 20% international sales trend, and as we move forward, our international outlook remains positive as there is global need for high quality, versatile equipment. We have experienced tremendous job creation growth since we started selling internationally. Around 40 jobs at VPI have been created due to exporting, and we hope to increase our employee base in the coming years as we look to expand into new emerging markets, but we need Washington’s help. Canada is our top export market, and we also sell our products in Asia, Australia and Europe. Due to our involvement in exporting around the world, trade agreements which help reduce tariffs and barriers to competitive entry would be beneficial to our company. Existing VPI product lines will benefit from the existence of free trade agreements that moderate duties, taxes, currency manipulation, and regulations generated by the resident country. Promoting free trade agreements would make it easier for us to interpret and follow policies, to establish fair and reasonable tariffs, and distribute our products freely with fewer limitations. We need Washington to prevent or remove barriers so we can be competitive and make it easier for VPI to expand into new markets. Existing VPI product lines will benefit from the existence of free trade agreements that moderate duties, taxes, currency manipulation, and regulations generated by the resident country. Promoting free trade agreements would make it easier for us to interpret and follow policies, to establish fair and reasonable tariffs, and distribute our products freely with fewer limitations.